I began Everlasting Bagstopper yesterday. 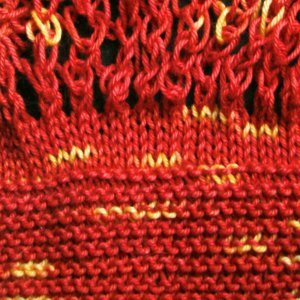 Since I substituted yarn and used smaller needles, I had to make some changes to stitch counts and row counts. 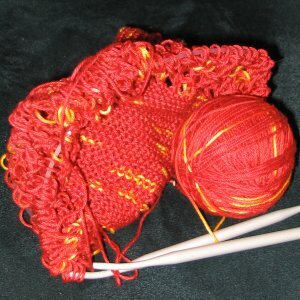 I cast on 60 stitches instead 44 and knit 14 garter ridges instead of 18. It still will be smaller than the original, but it will be the size that I want. At the moment the bag looks like a blob on needles. This is the bottom and side smoothed out.